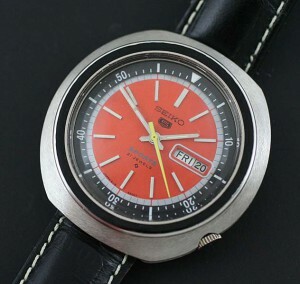 Automatic Seiko 5 Sports watch. 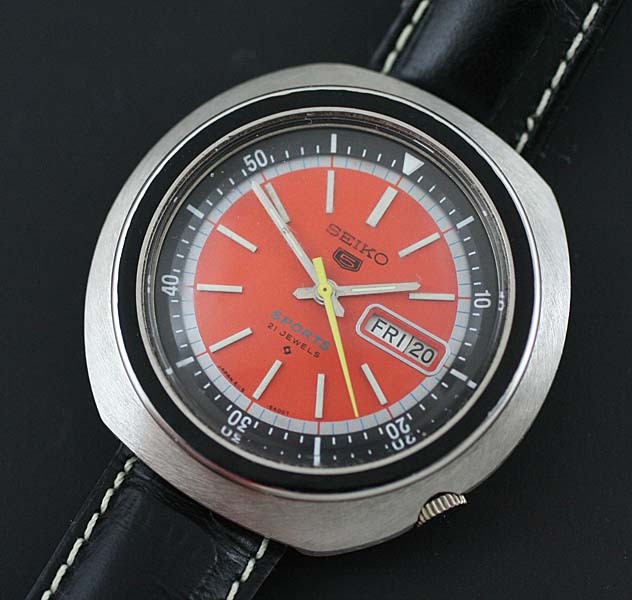 This Seiko 5 watch is just pure fun. 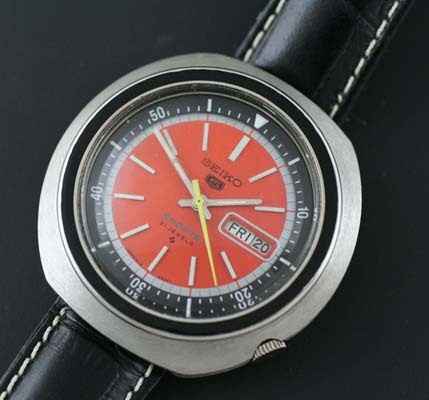 The over the top large steel flying saucer case combined with the bright orange dial makes this a great casual watch. 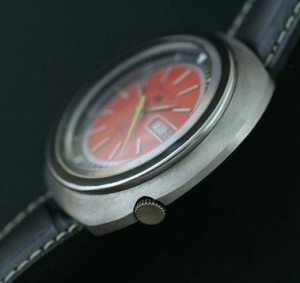 Without specific documentation I can only speculate the watch dates to the 1970’s based on the design of the case and movement used in the watch. 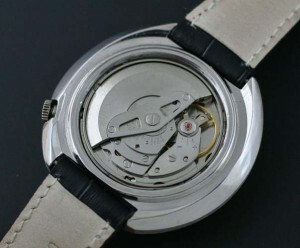 The 21 jewel automatic Seiko movement was made in Japan and comes freshly serviced by my watchmaker. 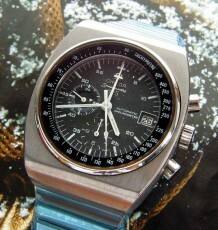 The Seiko 5 series was produced in the 1970’s and has now made a comeback and is once again being produced by Seiko. The inner black bezel does not rotate but adds extra pop to the visual appeal of the timepiece. 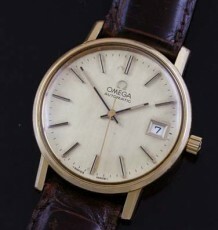 It’s amazing how much presence an orange dial adds to this large stylish watch. 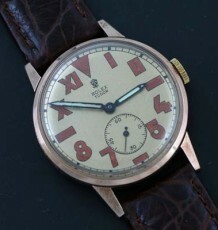 The steel caseback is a nice touch in this price category. 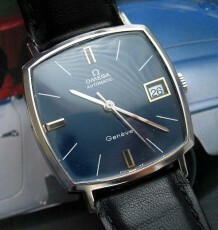 The steel case measures 43 mm wide by 43 mm long and comes on a nice black leather strap.